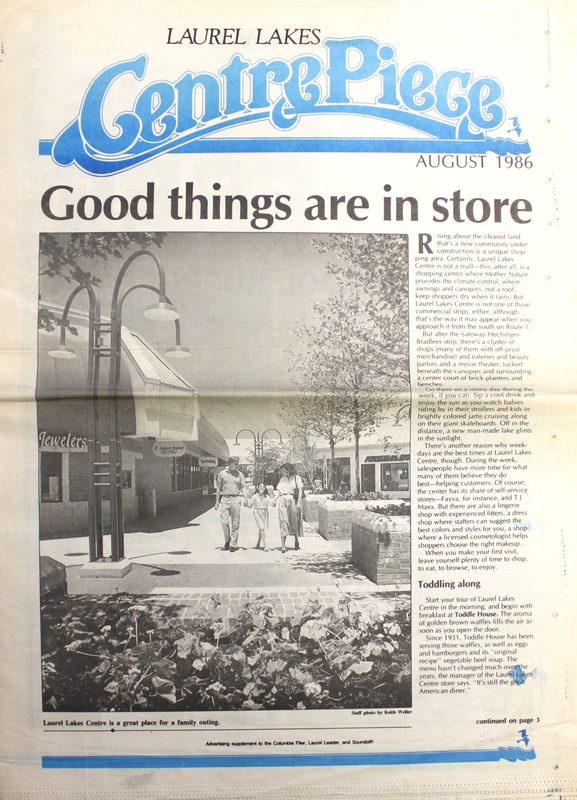 This is a “Laurel Lakes CentrePiece” promotional newspaper—a supplement to the Laurel Leader—from August 1986. 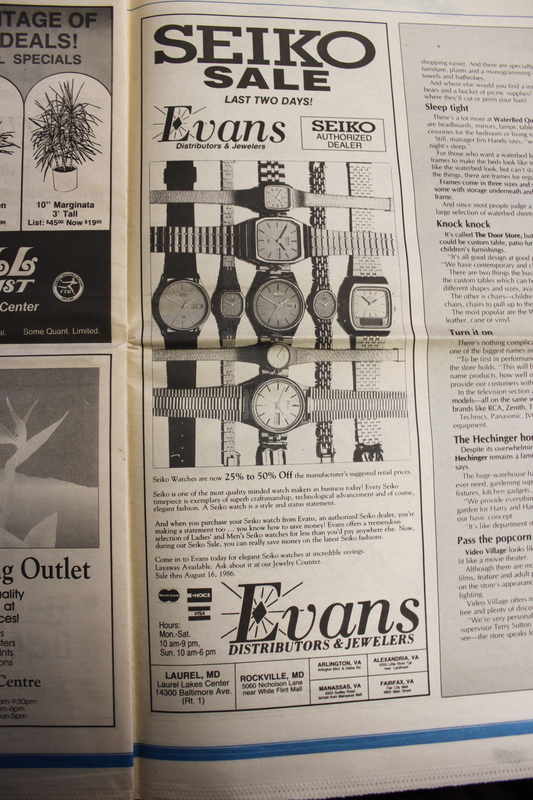 It contains several pages of reviews and ads for the likes of Shoney’s and Evans, as well as some of the smaller merchants in the nearly-new Laurel Lakes Centre. 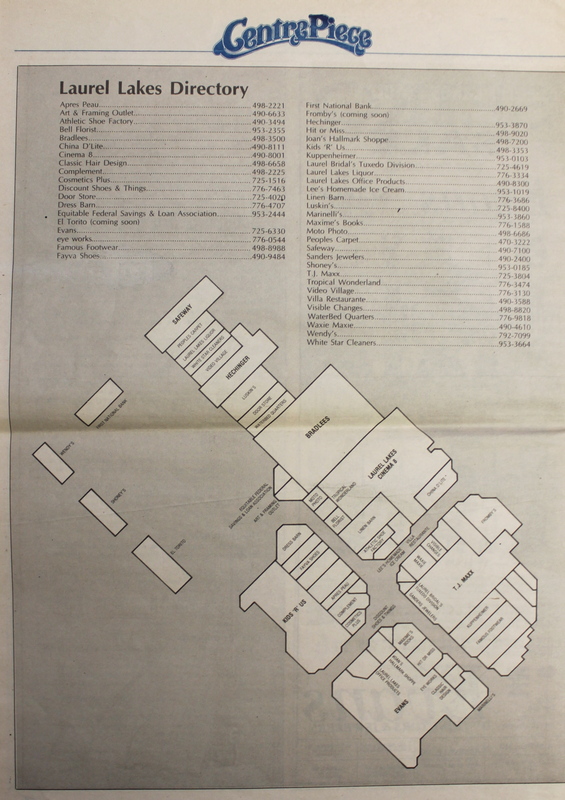 Best of all, it includes a complete directory listing and map of everything that was there in 1986. So if you’re like me, and couldn’t quite remember names like Maxime’s Books and China D’Lite, this infographic is a veritable time machine. Wow, these names bring back so many memories. I saw Laurel Lakes from swampland to what it is now since my family still lives there. I wish I had taken more photos from those early days. 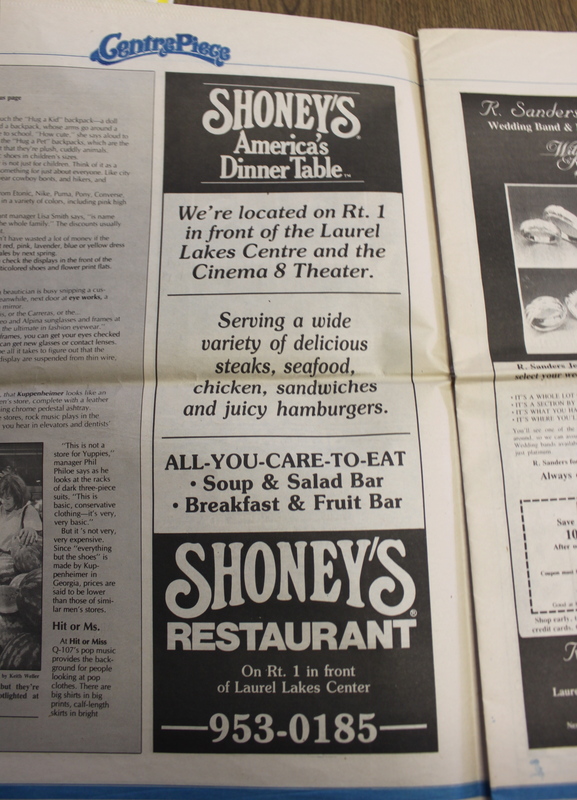 Oddly, I can say I’ve NEVER visited Shoney’s which was literally across the street from me but I worked in the movie theater (from before it became Hoyt’s) for a year or so and the photos bring back memories of all the flicks I’ve seen there, especially the free ones they had before the theater actually opened up – awesome freebie for a high school teen!